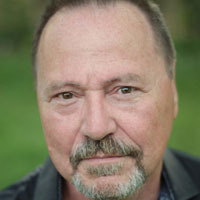 Director George Mihalka is known for the ease with which he moves from drama to comedy in theatrical features and television, in English and French. George’s work has been honoured with over 50 nominations around the world. His latest creation 24 Hour Rental, a caustic gangster satire aired on SUPERCHANNEL to rave reviews. His international features include the cult horror classic My Bloody Valentine and Bullet to Beijing, starring Michael Caine and Michael Gambon. Blueman won the prestigeous PRIX DE PUBLIC prize at the Avoriaz Fantastic Film Fest in France. In Quebec he is known for the box office hits La Florida, L’homme Ideal, Les Boys lV, and the smash hit TV series Scoop, Omerta, L’Haute Surveillance. 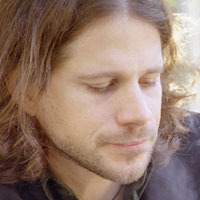 Buck was working as an airport electrical engineer in New York City when he made a splash on the genre festival circuit with his notorious short films Cutting Moments (1997), Home (1998), and Prologue (2003). His 2007 feature film Sisters, a remake of the Brian De Palma cult classic starring Chloe Sevigny and Stephen Rea was described by Variety as “a worthy partner to his predecessor’s famously violent slasher thriller”. Buck has also edited a number of features, including the documentary Lost Soul: The Doomed Journey of Richard Stanley’s Island of Dr Moreau. Kier-La Janisse is a film writer and programmer, the founder of The Miskatonic Institute of Horror Studies and Owner/Artistic Director of Spectacular Optical. 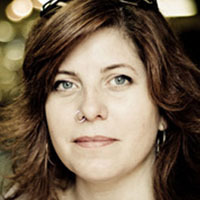 She is the author of A Violent Professional: The Films of Luciano Rossi (FAB Press, 2007) and House of Psychotic Women: An Autobiographical Topography of Female Neurosis in Horror and Exploitation Films (FAB Press, 2012), co-edited KID POWER! and Satanic Panic: Pop-Cultural Paranoia in the 1980s with Paul Corupe and is the publisher of Lost Girls: The Phantasmagorical Cinema of Jean Rollin and the forthcoming Yuletide Terror: Christmas Horror on Film and Television. She is currently writing a book about Monte Hellman’s Cockfighter.